I am so glad someone else sees that. I love to make people laugh at the simple things in life. Well, you succeeded in making me laugh at least! Lovely Post, and I agree. 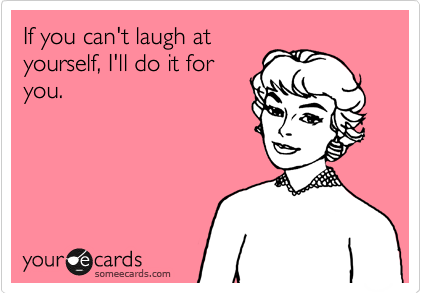 Learning to laugh at yourself can be a great asset!